2015.03.08 Now I Ask You! ? A Lenten Rant. Now I ask you...... Would anyone think, or in their wildest imaginings draw a mental picture, of anything womanly or feminine at all, while joining a joyous congregation in lustful song: “O, praise him! Oh, praise him! Alleluia, Alleluia, Alleloooo-ya!”? (Hymn #400, “All creatures of our God and King.”) ALL creatures! The text was written by none other than St. Francis of Assisi, a saint greatly to be admired and imitated for his capacious spirituality. I love St. Francis, and I love his current namesake, Pope Francis I. I love the Ralph Vaughan Williams music. I would never not want to sing this great hymn. Alleluia means: Shine your praises on God. It's a beautiful bright word. BUT it’s Lent, and we've banned alleluia until Easter. So I get to reflect on serious things, not just my own sins and flaws but the Church’s. I have given up restraint for Lent. It’s easy when singing to get caught up in a trance of crowd-sourced praise. It’s the music. I’ve been quite conscious of words we use to define—and confine—God, but with hymns, the music takes over. However, I’ve begun to be aware that hymn texts sink into our hearts, embed themselves into our flesh, just as much as the music does. What are our words communicating— over and over? To our children, girls and boys, to our own souls, to the world? I want us to remember all creatures, not just male ones. I want us to remember God as Creator/Author, not just King. A creator/author makes something beautiful and then lets it go, in hopes of course that it will please and be appreciated, not trashed. When I sing this hymn’s refrain, I sing, “O praise God. Alleluia.” I do the same with the Doxology. It’s easy to let God be known by name, rather than by a masculine pronoun. Praise God above ye heavenly hosts. I know I’m in my personal porti-pulpit, and some will say I have spiritual OCD. So I stop my rants for a while, until something hooks me. Recently we sang, “The Church’s One Foundation”— a great old Christian chestnut. I was singing along with nary a thought until I hit the word “consummation,” and, I’m sorry, but all I could think of was the sexual meaning of that word. The female Church was awaiting her consummation with the male God. I laughed it off. UNTIL a woman came up to me after the service, agitated, and said, “Did you hear what that hymn was saying about women? Awaiting consummation? Being bought?” We laughed together—half-heartedly. OK, it’s mystical, visionary, allegorical, metaphorical, intensely Christian, and written long ago. It’s only words. It means Christ. It's not real-world. AND, still,words matter. Pronouns are small and mighty. They alert us that the one done unto is identified as female, and the one to save her is male. Ah, Cinderella! I’m being overreactive, silly. Why all this spleen? (I really should have that organ removed!) I calmed down until two things appeared before my wondering eyes. 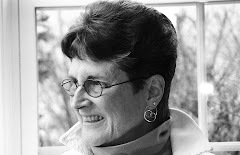 First, a FaceBook posting of a friend and colleague, Elizabeth Kaeton, one-time president of the Episcopal Women’s Caucus, about the historic consecration of Bishop Libby Lane in the Church of England, a first. Kaeton reported the “dust up over whether or not the bishops who consecrated her have 'tainted' their hands and therefore must show 'gracious restraint' when next consecrating Philip North to the episcopacy because he - and three remaining consecrating bishops - do not believe women have 'sufficient ontological matter to be an efficacious bearer of sacerdotal presence.'" What? Does this mean we women don't have, well, proper sacerdotal anatomy, lodged between our legs? Yes, I know the carefully chosen word, “ontological” means dealing with the nature of being itself, not just the flesh. Now I ask you: how do you separate the two? God apparently did not when Godde became human and the Spirit inhabited all flesh, not just human flesh, and not just Christ’s. I scolded myself, called myself cranky and too literal. Then......... (Boston Globe, Op Ed, 1.26.15) . . . Tennis U.K. wonderboy, Andy Murray, has a new logo, aka brand name, that will appear on a full line of clothing and accessories—everything but tennis balls, or any balls—though who knows? What’s wrong with that? Laying aside any issues about the accumulation of wealth in the hands of too few, I had a fit of pique about the logo itself: “77 AM”. What’s wrong with that? Seven is my favorite number, and a lucky one at that, and AM are his initials. Doesn’t he deserve this kudos as a sign that he is the first British man to win the Wimbledon singles title in 77 years? AM was not the “first Brit to win, only the first male Brit. Four female Brits won the equivalent title (Venus Rosewater Dish) at Wimbledon in women’s singles within that 77-year frame. But then don’t we all know that “winning Wimbledon” is shorthand for winning the men’s singles title? It is still assumed, without much thought, that what counts is what men do. To me, such ongoing assumptions discount women’s achievements and take away their worth. Some women let this happen easily, and some don’t, but we all feel it. Many hymn texts in the 1982 Hymnal, and most liturgical language, remains patriarchal, discounting women as people who hold up half of the divine image. Carl Daw and Brian Wren, gifted hymn text writers, are notable exceptions. Thank you, gentlemen.